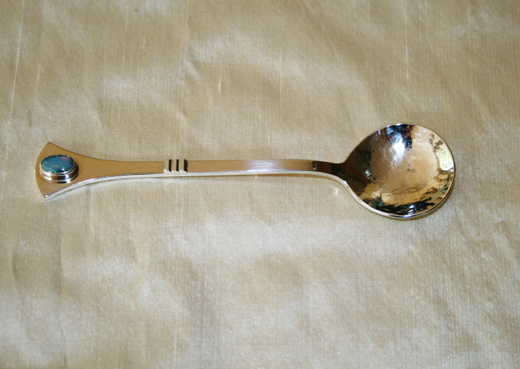 Silver and opal christening spoon. 18ct yellow and white gold engagement ring set with tsavorite and diamonds. 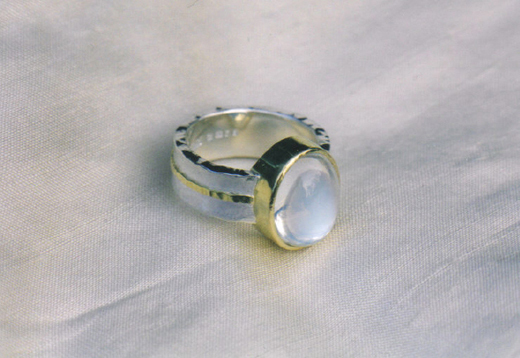 18ct yellow and white gold wedding rings. Silver and 18ct gold bangle set with diamonds. 18ct gold ring set with yellow and white diamonds. 18ct gold and black labradorite necklace. 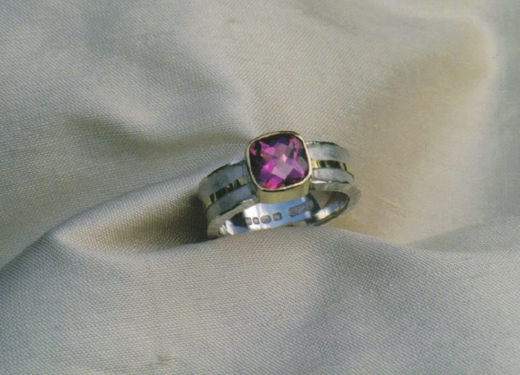 Silver and 18ct gold ring set with pink tourmaline. No part of this work may be reproduced or transmitted in any form or by any means, or stored in a retrieval system of any nature, without the written permission of the copyright holder.